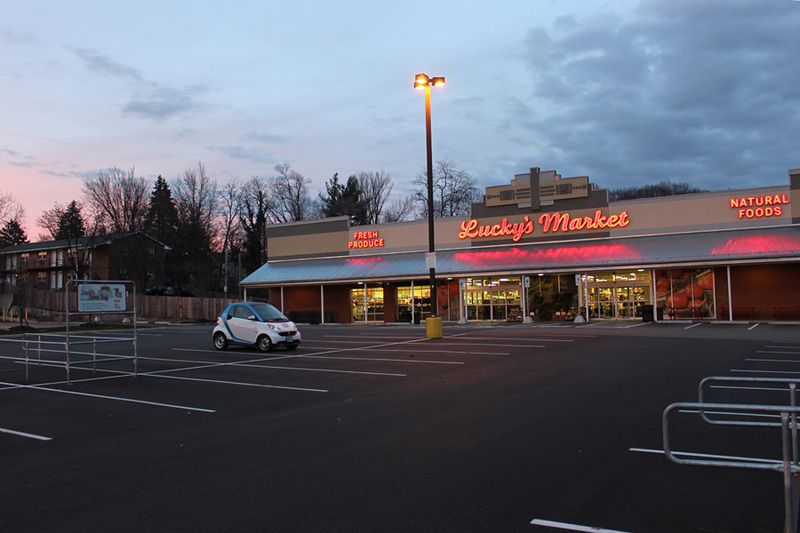 LUCKY'S MARKET, 2770 N. HIGH ST- A new addition to the community. Usually buzzing but not on Christmas Day. 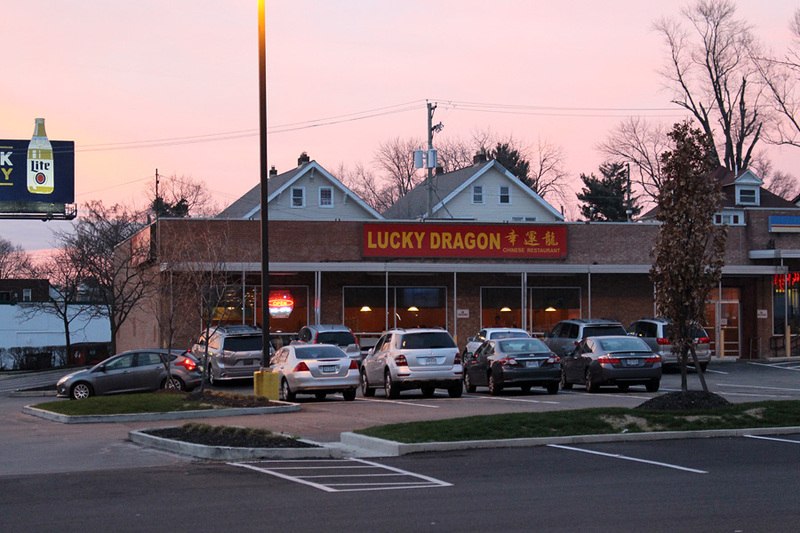 LUCKY DRAGON, 2800 N. HIGH ST.- One place that is busy on Christmas Day. 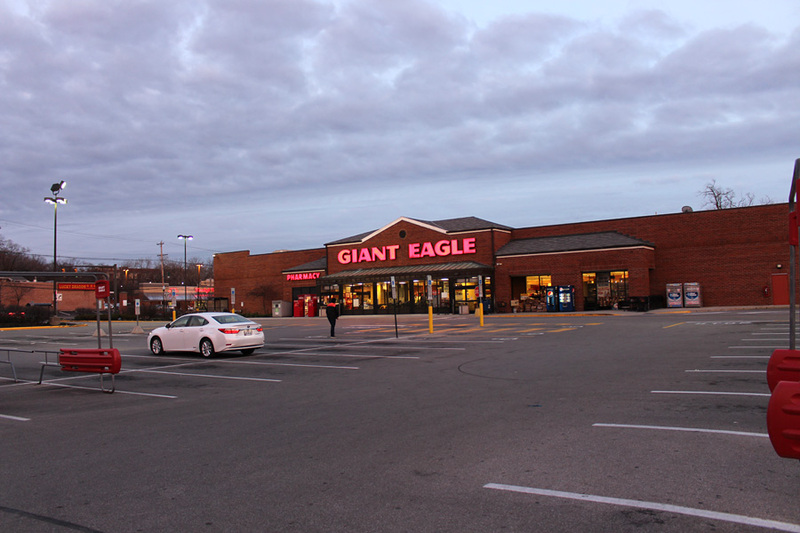 GIANT EAGLE, 2801 N. HIGH ST.- Serving campus and Clintonville, usually packed. KROGER AT E. 7TH AND HIGH- The University District Kroger is always busy and the lot is usually close to full. Except today. 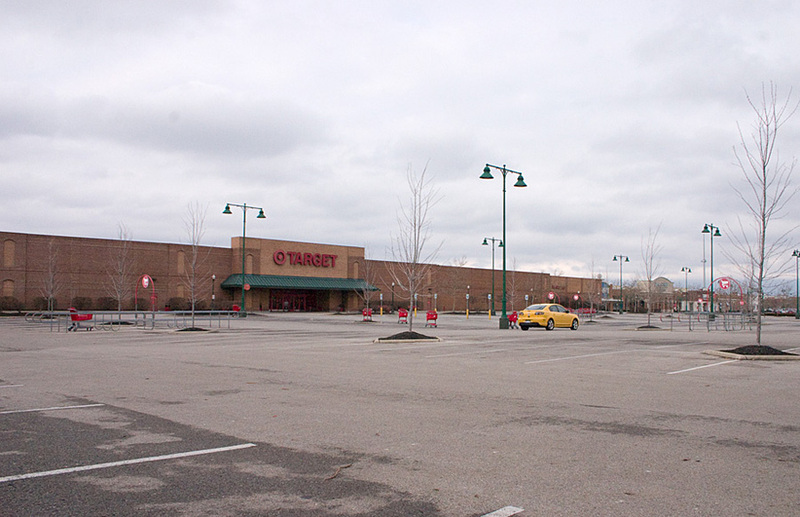 TARGET- Target at Lennox Center Mall, Olentangy River Rd. 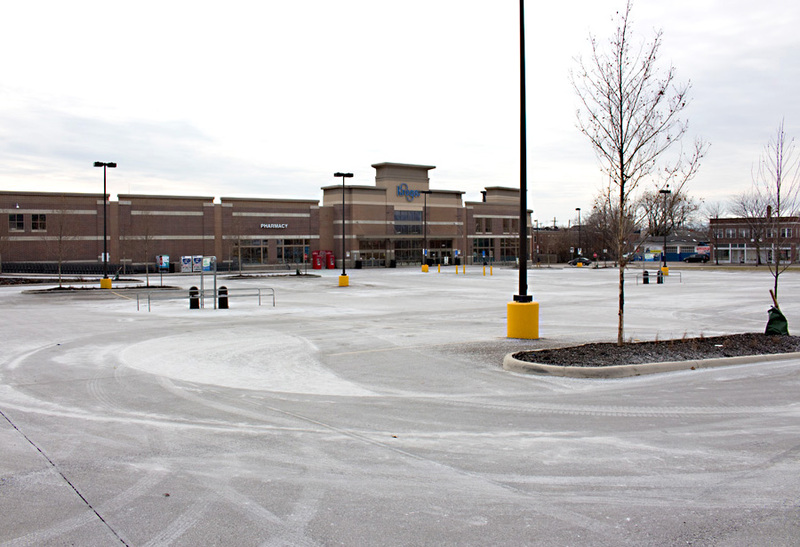 You wouldn't expect anyone to be at Target on Christmas Day. It's closed after all. Threw this in just because it one of the few times of year when the lot there isn't packed.